Suited for customers producing up to 15,000m² per year and offering printing speeds up to 52.8m² per hour, the Océ Arizona 1300 Series comprises six models, all designed from the ground up for optimum ease of use and reliability. Customers can choose from three GT models (Océ Arizona 1340 GT, 1360 GT, 1380 GT) with a flatbed area of 1.25m x 2.5m, or three larger 2.5m x 3.08m XT models (Océ Arizona 1340 XT, 1360 XT, 1380 XT). The new series has been developed to meet the needs of customers who are ready to upgrade their first flatbed or hybrid printer and are looking for a more productive, high quality product built for maximum uptime, while seeking the versatility to handle an even broader range of media for diverse applications. To maximise productive uptime, the Arizona 1300 printers are the first Océ flatbed products to feature LED curing options, offering customers the scope to print as needed from standby mode, without waiting for UV lamps to heat up. The new series also introduces Océ Arizona Xpert, an innovative software solution that simplifies and automates complex jobs, including multi-layered and duplex applications, so that print files are ready in an instant. The intuitive software stores the print-ready file, enabling similar future jobs to be prepared more quickly and easily by the customer time after time, for long-term production efficiencies. In addition, the new devices are the first Canon flatbed products to include Océ Remote Service for maximum uptime and ongoing technical support. With this tool, customers can better monitor ink consumption and print volumes, enabling them to receive customised service contracts based on their individual business requirements. The LED curing technology of the Océ Arizona 1300 Series offers print service providers (PSPs) the opportunity to work with an even broader range of applications on almost any rigid or flexible media, and when handling challenging media, such as canvas, wood, tile, glass, etc. The LED-UV inks used with the new models are UL GREENGUARD Gold certified, meaning prints can also be used safely in sensitive indoor environments, including schools, hospitals or retail environments. Canon is the only digital flatbed technology provider that now offers both conventional and LED curing solutions, giving customers a printer for nearly every application need. With optional light cyan (LC), light magenta (LM), varnish and white inks, as well as enhanced screening, the new flatbed devices also enable customers to produce higher value work, delivering superior print quality even for photographic and fine art applications. For customers looking to differentiate their product offering, the Océ Arizona 1300 Series can be used with the Océ Touchstone textured printing solution, which enables the production of enhanced prints with textured effects. The machine also has an additional Roll Media Option to handle flexible media, while optimising production." 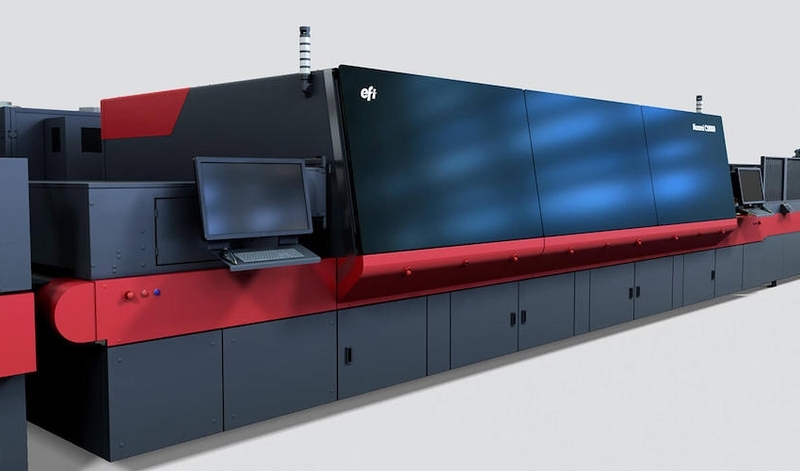 The Océ Arizona 1300 Series is produced at the recently expanded Canon flatbed manufacturing facility in Poing, Germany, and will be commercially available from January 2019.